Guns are on display during the Nation's Gun Show on November 18, 2016 at Dulles Expo Center in Chantilly, Virginia. The number of homicides committed using guns has gone up by nearly a third nationwide in recent years, according to new data from the Centers for Disease Control and Prevention, NBC News reported. 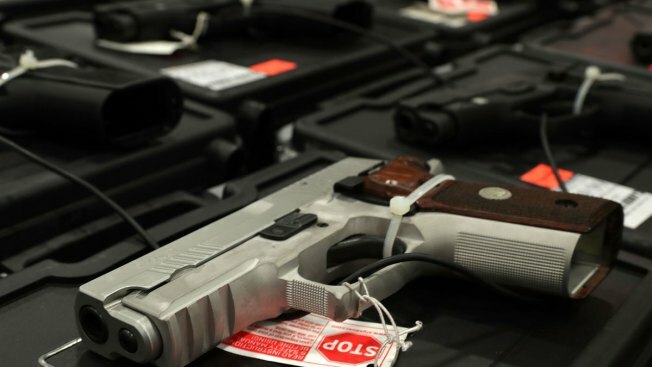 The CDC found a 31 percent increase in homicides involving firearms from 2014 to 2016. In 2014, 11,008 homicides involved a gun. The number rose to 14,415 by 2016, the CDC team said. Guns were by far the most common weapon used in homicides, the CDC team found.